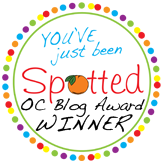 Last month I was contacted by The Cake Cottage to sample their cupcakes. I had never heard of them before, so I was more than excited for the chance to try something new! Let me start by telling you a little about The Cake Cottage. Susan Carberry, the owner, is an expert cake decorator who recently took first place in an episode of TLC's Ultimate Cake Off. Susan recently opened her new store, The Cake Cottage, to "provide the best retail cake decorating supplies, provide specialty 'Sugar Art' classes, and produce beautiful and unique designer cakes." Although Susan's primary focus is cake decorating, she has begun selling cupcakes in her store. I was lucky enough to get to try them! When I got my cupcake and sweets delivery, the first thing I noticed was how beautiful everything looked. One of my co-workers commented that they were almost too pretty to eat (almost). One thing I've noticed about cupcakes over the past few years is that the ones that look the prettiest usually don't live up to their appearance. Here is where The Cake Cottage is different. It's hard to tell from the photos, but these cupcakes are huge! Sometimes that's a good thing (like on this day when I was sharing with six other people), but sometimes it's a not-so-good thing (like when I'm on a low-sugar diet). I certainly wasn't complaining about that. 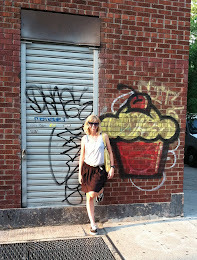 The cupcake I was most excited about was the Kahula Cream Cheese. My favorite pie flavor is the Kahula Cream Cheese from Marie Calendar's, but this was the first time I've seen it in cupcake form. In case you haven't tried this goodness before, it is a Kahula flavored chocolate cake, topped with Kahula flavored cream cheese frosting. Oh boy, it definitely lived up to it name! The frosting was smooth and creamy and the flavors were exactly what I had hoped for. I couldn't get enough of this cupcake! My second favorite cupcake was the Chocolate Raspberry. Usually I'm not a fan of fruit cupcakes, but this cupcake changed my mind. It was a chocolate cake with raspberry filling, swirled with chocolate mousse and dipped in a dark chocolate truffle. I loved that this cupcake was dipped. It definitely gave it a unique quality that I will remember. The other flavors I tried were Red Velvet, Caramel Apple, Vanilla Chocolate, and Lemon Filled. Everyone had their favorites. My brother loved the Red Velvet, my sister enjoyed the Caramel Apple, and my husband devoured the Lemon Filled. You can read about these flavors and the other available flavors on The Cake Cottage's website. Cupcakes weren't the only sweets in my care package from The Cake Cottage. I also got to sample their petit fours and see more of Susan's beautiful decorating skills. I'm pretty sure this was my first time eating a petit four. I wasn't even sure what it was. The trusty Wikipedia informed me that they are tiny cakes covered in fondant or glace icing. I found them quite enjoyable. I especially loved the size, perfect for an after-dinner treat. 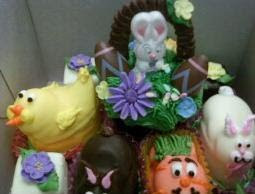 It was unbelievable how much detail went into the decorations of this Easter bunny cupcake. And if you look closely, you'll notice that the cupcake is not contained in a wrapper, but an edible chocolate cup! I couldn't watch as my husband dismantled this cupcake for tasting. My Overall Opinion: Yes, these cupcakes are great! I would definitely recommend these cupcakes: the cake is moist, the frosting is proportional and perfectly sweet, and the quality is an "A". 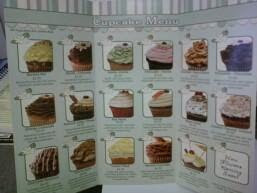 The prices range from $3.00 (for most cupcakes) to $4.95. Considering the jumbo size of the cupcakes, the prices match. Also, if you're interested in cake decorating classes, Susan is the person to go to. This place is right down the street from my house :) I love her cupcakes, seriously some of the best I've had.